Home Applications PicSea 1.0 Serves for better image on your iPhone! 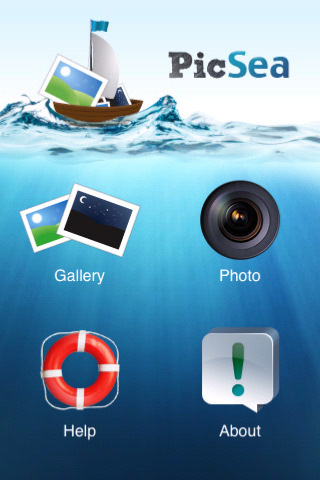 PicSea 1.0 Serves for better image on your iPhone! Now your’re able to correct medium/low quality or defected photos made by semi-professional camera as well as process images of several digital formats with PicSea 1.0 app for your iPhone/ iPod touch released by Pabusily Co Ltd. How it works? it’s simple-PicSea module is improving on-line solution that unlocks image processing of any digital formats in real-time mode. The main advantage of the app is it’s quickness and simpleness. Using high-capacity tools of image processing without spending additional time is another plus of the app. Module will realize your creative and practical ideas in a few seconds so use all Pic Sea capabilities and take a great pleasure. PicSea is supported by regular investments into the high technologies and assuring infosecurity. PicSea 1.0 is only $0.99 USD and available worldwide exclusively through the App Store in the Photography category.